Keep your smartphone safely in place and in view with the miniport vent. 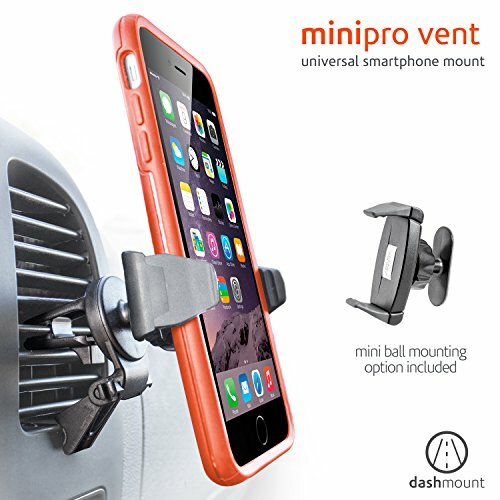 Attached to your dash's vents with a small rubber clip, the miniport vent will easily hold the weight of your phone. Thanks to the adjustable side brackets, you can easily fit the largest phones like the iPhone 7 plus into our miniport vent. Keep your hands on the wheel and your phone on the miniport vent. If you have any questions about this product by Ventev, contact us by completing and submitting the form below. If you are looking for a specif part number, please include it with your message. Car Mount Holder for Dashboard & Air Vent Cell Phone Holder Magnetic Stand with Fast Swift-Snap Technology for Smartphone iPhone, Samsung, Android, etc.